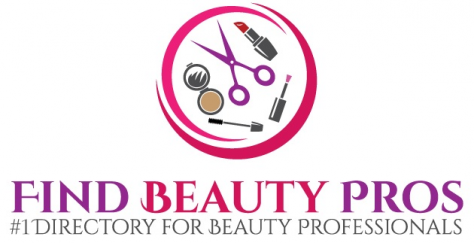 LOS ANGELES - Nov. 10, 2015 - PRLog -- http://www.FindBeautyPros.com is the new easy way to find beauty professionals. A subsidiary of MJMA, LLC Family of Companies, Find Beauty Pros is the premier online destination to find Makeup Artists, Hair Stylists, Barbers, Estheticians, Brow Artists, Nail Technicians, Salons, Spas, Beauty Supplies, Beauty Bloggers and much more. Our directory is designed to put consumers in direct contact with Beauty Professionals. Find Beauty Pros free listing service is another method of networking and online marketing for Beauty Professionals with a minimal budget. Help the world look and feel amazing by connecting individuals with the beauty services they need by top-rated Beauty Professionals. We strive to grow our members businesses with the same honesty and integrity we use to develop our services, with sustainability and innovation for everyone. Find Beauty Pros works relentlessly to give members and their clients the best online experience. MJMA's concepts and designs come from the creative mind of Melanie Blake. Melanie is a professional makeup artist, licensed esthetician, and laser technician. After nearly a decade in the industry, Melanie’s career has brought her to countless locations for makeup artistry and skin care, ranging from retail settings, backstage fashion shows, medical doctors’ offices, medical spas, day spas, movies sets, photo-shoots, and multiple destinations across the country. After meticulous research and design modifications, she partnered with business associate Michael Ecke and at last, FindBeautyPros.com was born. Michael Ecke is an international traveler and businessman. He has lived, worked, and experienced trends all over the world from his native New York, to California, overseas and back. As a Navy veteran, and former manager for a Fortune500 company, Michael is dedicated to ensuring the utmost attention to detail and quality control. Michael provides executive oversight and direction to MJMA and its subsidiaries. Michael brings to his position the business foresight and acumen required as MJMA continues its remarkable growth. Partnered with beauty expert and professional Melanie Blake, they make up the ultimate dynamic duo.